Everyone surely have a dream house, some of you even try to learn how to design a home to make your dream come true. Of course you cannot build your own house since you need a professional to do it. Still you need to prepare some things before even going to get help from the professional builder. That way when you finally go to a professional builder, you already have all things short out to faster the process. Now let us check things that you need to do to design your dream house from our list here. 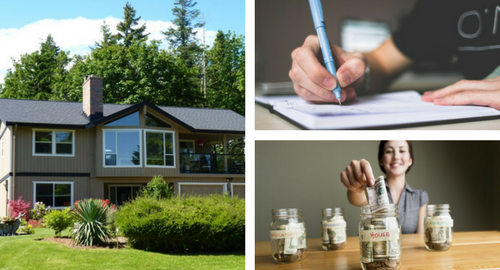 First thing that you need to do when learning how to design a home is to prepare your budget. Since you the only one who knows about your finance that means you need to prepare the budget accordingly. Think of the things that you need then decide how much fund you willing to spend to get it. For example, if you do not have a land yet, it means you need to prepare more fund to purchase the land first. But if you already have the land, it means you only need to prepare the budget to build your house. If you do not have any land yet, then it means you need to purchase one before you can learn how to design a home. Search for a location that you can afford according to the budget you have prepare before. Think of your lifestyle and the place that you often visit such as workplace, children school, market, hospital, and many others. Make sure that the location will suit your lifestyle and close enough to the place you often visit. It is alright to search more than one location before you finally purchase the best one. Once you have a place to build your new house, now it is time to know how to design a home. Surely you have things that you want to have inside your house such as game room, library, and many others. But first you need to list the basic things that you need in every house such as living room, kitchen, dining room, bedroom, bathroom and many others. Think of how many bedroom and bathroom that you want to have, then you can add other extra room that you want before. Make a detailed list of the things you want for each room in a separated paper. It will need a professional to create the right floor plan, but you can still make a rough floor plan to know how to design a home. Think of how many floor you want to have in your house. Then create the layout you want for each floor. Do not forget you also need to think about the size of the house as well as the rooms inside the house. If you have the ability, there is some free software that you can use to build this plan. After all things are short out, now it is time for you to search for a good contractor to hire. Be very careful so you can find the best people in this field, search for review of their work to ensure that they have done a good job. Research for the contact and make sure that they hold the right license to do contracting work. Ask to your friends and family if they have recommended contractor to hire since they might know better than you and know how to design a home. Even after you learn how to design a home and bring everything to your contractor, you should know that you might need to change a few things in your design. The reason is because sometimes there are things that could make your design not suitable with the real condition. A lot of things could be the reason from your budget, building process, and even the land itself. But you should not have to worry and just follow the process. This is why you need to get the best contractor that you can trust so they can give you the right direction. Do not forget to prepare an emergency budget since something might happen during the building process. That is when extra cash are needed even though you do not plan it beforehand. The emergency budget should be at around 30 percent of your building budget so you can have more ease when deciding anything in emergency situation. Make sure that all the paper work is already taken care of since you also need to have a few permits when building your house. Ask your contractor whether they can help you with the paper work procedure since they have more experience in this field.